16th September 2017, Saturday, at 5 p.m. The ZOFO duet, thanks to its contemporary repertoire and collaboration with many talented composers from all over the world, boldly marks a new path and begins to stand out from the other pianists who play music ‘for four hands’ . This September, the Herbst Palace Museum we will be hosting the band and the guests will have a chance to hear and see most of the band’s project called ZOFOMOMA, which in total will consist of 15 music pieces composed especially for ZOFO (the project's premiere is planned for 2018 and will take place in Los Angeles). During the concert at the Herbst Palace, 12 of the planned compositions will be presented. The authors of those compositions, who come from different cultural backgrounds, as the starting point all chose an inspirational piece of art which is characteristic for and represents the country of their origin. ZOFO takes its audiences on a 60-minute audio-visual journey around the world, where music is accompanied by images. As a result of this approach, we can recognise the Earth not as a geographically divided planet, but as a land of people expressing their diversity and originality through both music and visual arts, which in ZOFOMOMA, different though they are, complement one another forming an inseparable whole. The band's name is an acronym for the twenty-finger orchestra (where ZO stands for 20 and FO stands for finger orchestra). Since 2009, when two acclaimed solo pianists Eva-Maria Zimmermann and Keisuke Nakagoshi joined forces to form the duo of ZOFO, the group has constantly been delighting the audiences from New York's Carnegie Hall to Tokyo with their talent and original repertoire. Grammy-nominated and Steinway Artist Ensemble winners, ZOFO band focuses on compositions of contemporary musicians, working on a new musical piece with a different composer each year. 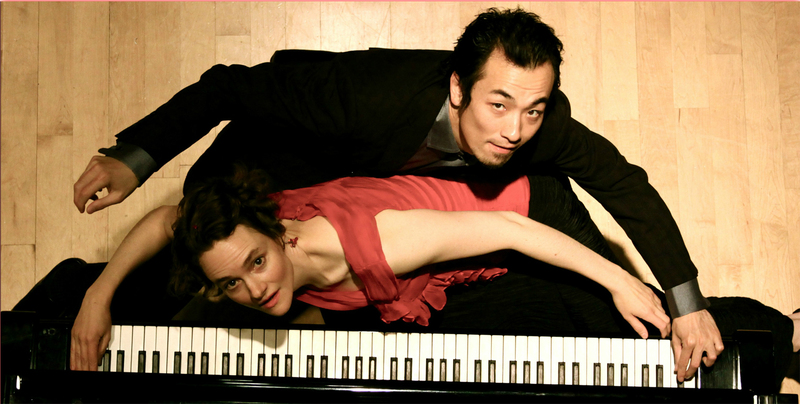 Eva-Maria Zimmermann and Keisuke Nakagoshi believe that the piano duo is the most intimate medium, perfect for chamber music in which compositions of two musicians playing their individual parts come together and form a complex and most beautiful choreography written for the four-hands sound.